Yesterday I curbed one of my alloy wheels on my car it’s buckled the wheel so it cannot be repaired and everywhere wanted at least £100 for a replacement alloy so a friend suggested diy motorist in deal Kent. So I looked on their website and they had the alloy wheel for Just £25 it’s used but only has a few scratches what a bargain plus free delivery what an incredible service. 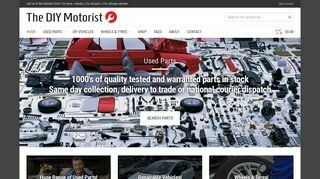 They are a company who get written off cars and sell the good parts at incredible prices save yourself loads of money. Thank you diy motorist for saving my family a lot of money.